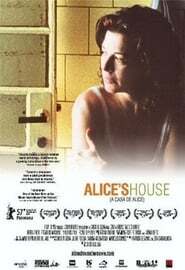 Movie Plot : Alice, married for the last 20 years to a taxi driver, works in a beauty parlour, has three children, the eldest of whom is doing his military service, and a mother who works as a maid in her house. None of the three siblings pay much attention to their mother, and they treat their grandmother with lack of respect. Alice's life in the female working world contrasts strongly with the powerful masculine presence in her home. Although she's a good girl, the chance to betray uncovers other betrayals she didn't know existed.